I was wondering if there are any sites that sell working replica Omegas. I've found Perfectwatches.cn, but have come across some poor reviews. Any other places to get the Bond look for those who are a little cash strapped? Hi, most of these sites source the same replicas from Indionesha or china. My friend bought a PO the automatic wynder broke after a week. Not worth it. 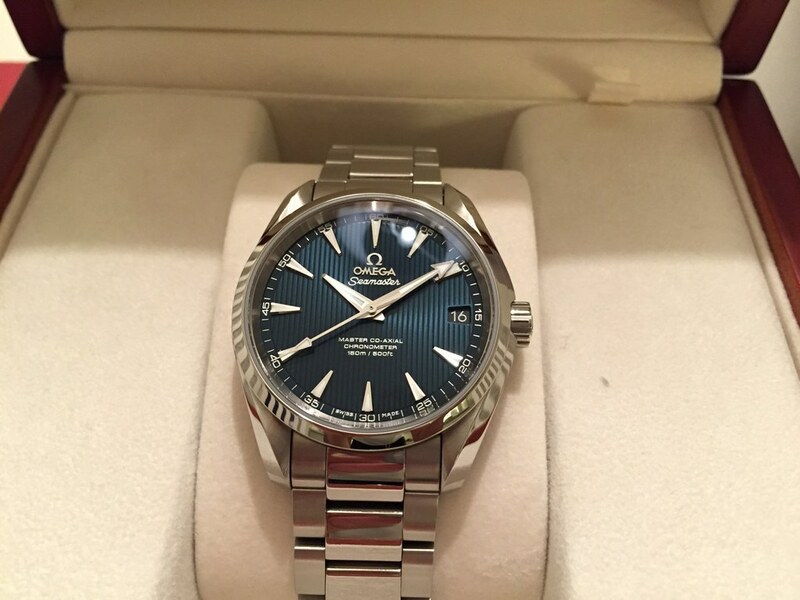 Most fans I know of bought this http://m.watchshop.com/mens-lorus-watch-rh999cx9-p99961137.html which for the money is amazing and good value alternative to the Omega AT from Skyfall. Mods please close the topic as not good for the forum to discuss replica (counterfeit) version of the films partners products. http://postimg.org/image/ltv9g7kf3/ Lorus side by side against Omega AT. 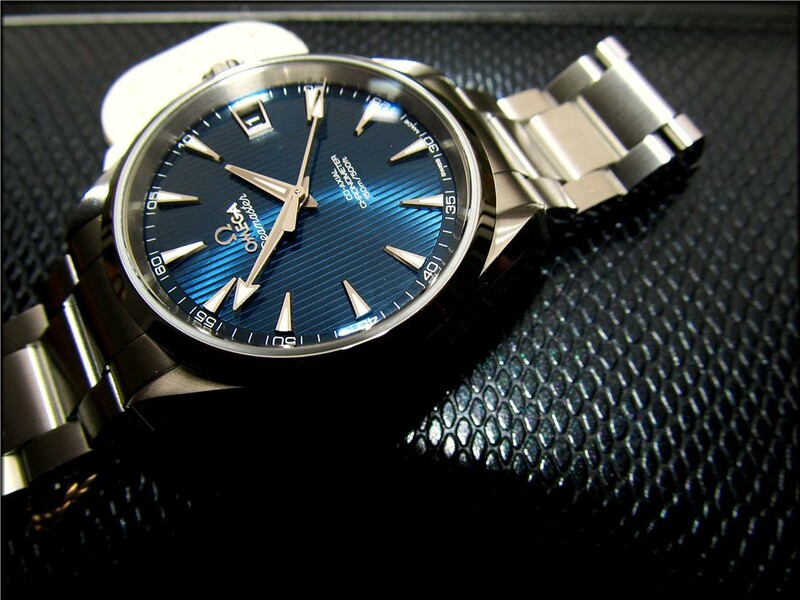 You could consider a used Seamaster 300 (Pierce Brosnan style) quartz. It would at least be genuine and you can get one for a reasonable price, since there were so many sold over the years since GE came out. Alternatively, you may want to consider visiting www.rwg.bz (a forum) to see what folks say there about replicas. Or www.pure-time.com for a replica site. I don;t know anything about these replicas though. Thank you, that's a far more obtainable goal than a Craig automatic model! No problem. My pleasure. Brosnan actually wore a quartz model in GE. He only moved on to the automatics from TND onwards. Omegas have got so expensive nowadays and are very thick to accomodate the new movements. The older models are just as attractive, far slimmer in design and offer much better value, so a used model may be the way to go. You just have to budget for a possible service down the line. I didn't know that about the Goldeneye model. I had always assumed they were all automatics. It seems strange that memebrs are not allowed to exchange leaked copies of the draft script doe to copyright issues etc but there are open threads discussing how to obtain counterfeit watches. Just looking for some consistancy? @Bondjames how much does one of those Seamasters run? @Sark I think they run about $1000 to $1500 for the Quartz (GE style 300M) depending on age and condition. From $1500 to $3000 for the automatic (the price range for the automatic is due to many variations - e.g. non-coaxial 1120 movement 300M, coaxial 2500 movement 300M, or Planet Ocean 2500 movement 600M like Craig's from CR/QoS). Please note the prices I mention are for the aluminium bezel models (all genuine) on the used market. Then there are ceramic bezel seamaster models (like Craig's Planet Ocean 600M from SF and there is also a ceramic 300M Brosnan style) and these range above $3000 on the used market. As I mentioned, all the new ones are super expensive (too expensive in my mind. Omega has been trying to move upmarket recently and price in the Rolex range....and the new ones don't hold their value on the used market like Rolex does). The older used ones are also going up in price because many people find the new ones too expensive. The older models are all good investments because watch prices don't tend to come down....just go up with time. I certainly meant no offense. I was thinking of it being more along the lines of people buying replica Walthers. I've had a watch made by Merona, a Target brand, that bears a striking resemblance to Brosnan's Goldeneye Seamaster and also have a blue faced Casio, also like the Seamaster. 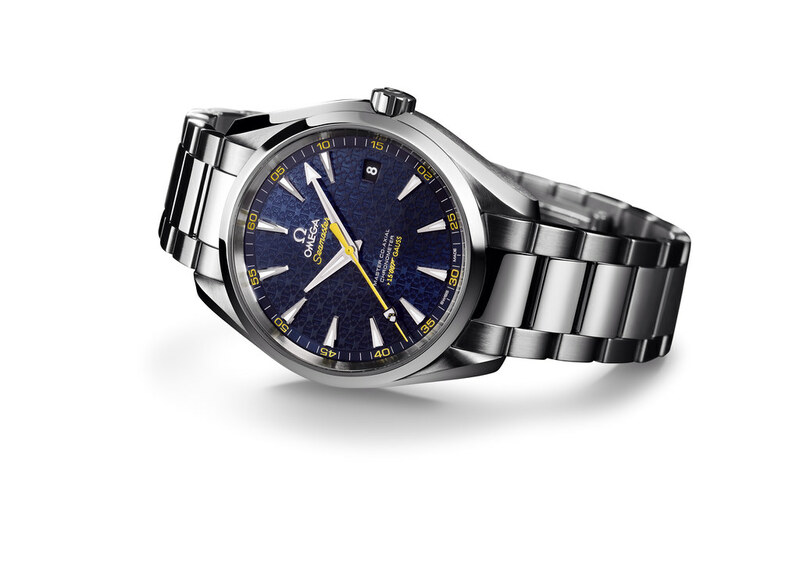 The Lorus mentioned above was a great help, as was a used quartz Seamaster. Out of curiosity, do you happen to know how well in value the commemorative ones that have the 007 logo hold up? Whilst some are quite nice, it's not really an option I would pursue at that price point or for a first Omega. No @JET007, I'm afraid I don't know too much about the ones with the 007 logo. I know they are limited number pieces, but some (myself included) aren't too fond of the logo and other commemorative bits on the actual watch (it can be a little bit cheesy). I'm sure they hold up just as well if not a little better, but the issue will be it's a little harder to sell them when the time comes because the market for them is smaller (they are more for die-hard collectors). want some more cheap replica watches of all good brands please visit replicas-de-relogios.com for further details about [url="http://www.replicas-de-relogios.com/Replica-Omega]replica omega[/url]! Replicas are fakes and whichever way you look at it, they are of poor quality and they won't last. Either get an homage like that Lorus "Aqua Terra" (which looks good by the way) or save up and get the real deal. 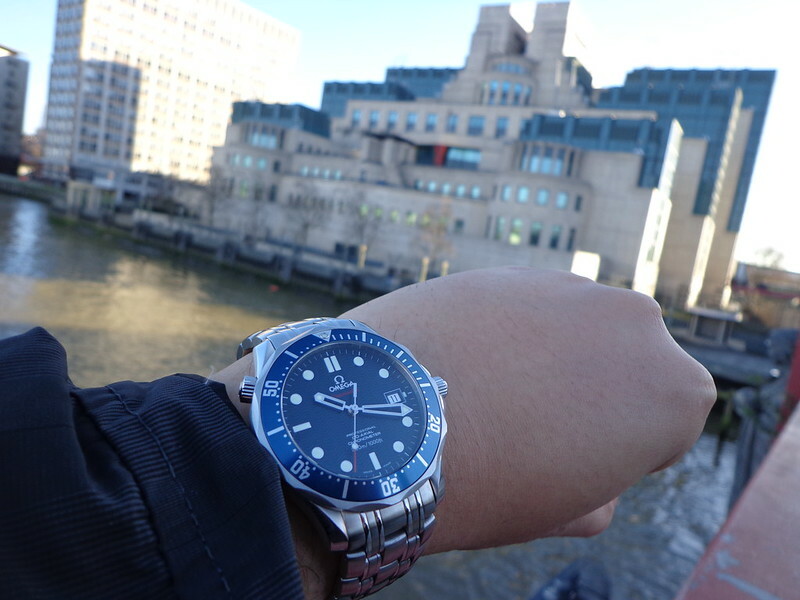 Have the Omega Seamaster 600m Skyfall edition with the 007 logo at 7pm... It is quite possibly the nicest watch ever. I'm a big Bond fan, but I always give the Omega's with the 007 logos on them a pass. Some of the limited editions are nice, don't get me wrong, but I hate to be wearing a high end swiss made watch with 007 logos on it...lol.. Plus, Bond doesn't wear the limited editions in the movies. They are a great collectible though. Indeed the Spectre watch looks lovely, but I prefer the look of the Skyfall Omega. The SF Omega AT is a work of art, and is now discontinued so get it while you can. The newer Master coaxial version has polished centre links and no chrome border around the date window. You're right about the differences on the Master Co-Axial version. I don't like the polished center links on the new one and the missing border around the date window. But has the Skyfall AT really been officially discontinued? I doubt it because its still being shown on the Omega website along with all the other regular 8500 Co-Axial AT models... But I won't be surprised though if it does gets discontinued. I'm hoping it won't. My understanding is that they are just selling out the current stock that they have both at the retailers and at each country's Swatch Group inventory (which is still quite a bit). Once it's gone, they won't be bringing any more in. This applies to all the pre-Master AT's (grey, opaline, black and SF blue). I could be wrong but that's what I was told by a retailer. Hi, I bought a Rep of the Skyfall plent ocean watch, It came from the most reputiable rep producer online after weeks of reading forum. It arrived it was great for a week, then the date stopped moving, As I tried to adjust the date with the nubbin the mechanism inside snapped in my fingers. Gutten had paid £80 for it and the dealer refused to refund or send me another. I would'nt buy a replica again. Then my mate told me about this http://www.watchshop.com/mens-lorus-watch-rh999cx9-p99961137.html a Lorus copy of the Aqua Terra. I bought one for £33, my mate has the AT from Skyfall we put them next to each other and his world crumbled it was the same size, same weight, the facia looked the same, he went out and bought one so he could keep his AT good for special occasions. Dont buy a replica buy this Lorus! I agree. There's no substitute for the real thing. those watches are very beautiful. Personally unless I am ever to the point where money literally doesn't matter to me I doubt I'll buy an Omega or Rolex. Perhaps some of the more knowledgeable can enlighten me: what's the difference between a $5k watch and a $1k one? Very beautiful doubleoego! Damn, makes me wish I can really get it now! For my part, there is no way, not in a million years, that I will be in a financial position to make such a purchase, and I'm loath at any price to invest in knock-offs of anything. That said, are there any "Bondesque" watches, from other brands perhaps, in the sub $500 range? I did wind up buying the Lorus in January and it is a great looking watch. However, I have to disagree with you, SirHilary. I went to an Omega dealer last week and tried on the model Craig wears in Spectre (without the NATO strap, tho') and there was a marked difference in weight and detail on the new Aqua Terra. Unfortunately, they start at $6,ooo and the 15,000 Gauss are $6,600! My next goal I think is to try and save for a Brosnan era Seamaster, partly inspired by the Teeritz Agenda blog where he details his pursuit of a Rolex Submariner 5513. Going by eBay, most seem to be under $2,000, be it quartz or automatic and it is the watch I have been obsessing over since 1995!